A Tuesday article in Advanced Manufacturing offers a great macro-level overview of automotive lightweighting at the OEM level — the kind of trends that directly affect how collision repairers fix vehicles and what gear and training owners and techs need. Ohio State University (Columbus, OH) is studying “civilized explosive welding” as a way to join dissimilar materials and avoid corrosion. With the process, a thunderbolt rams one material into another to create a welded joint. 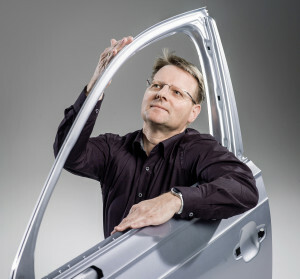 “It’s an early stage technology we’re committed to,” Glenn Daehn, professor of metallurgical engineering for the university, said in February at the Lightweight Vehicle Manufacturing Summit in Detroit. “We think this is the best way to join advanced or dissimilar materials,” Daehn said at the conference. Read the Advanced Manufacturing piece, and then take a deeper dive into some of the models described with our vehicle-specific coverage. Learn about vehicle technology trends and relevant repair procedures during SEMA with Ken Boylan of Chief at “Current and Future Technologies 2017 and Beyond”; Toby Chess of Kent Automotive at “Adhesive Joining in Modern Repairs”; Dave Gruskos of Reliable Automotive Equipment with “Get Attached to Following Procedures: A Comprehensive Guide to OEM Joining”; and a panel of OEM Collision Repair Technology Summit experts at “How Automotive Research is Driving Change.” The sessions are part of the Society of Collision Repair Specialists Repairer Driven Education Series Oct. 30-Nov. 3. Register here for individual classes or the series pass package deal, which includes the entire week of classes, all three parts of the OEM Summit and the Nov. 2 Sky Villa afterparty.